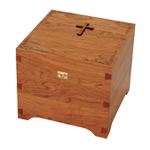 Our caskets are made by the Trappist monks of New Melleray Abbey and local laypersons. 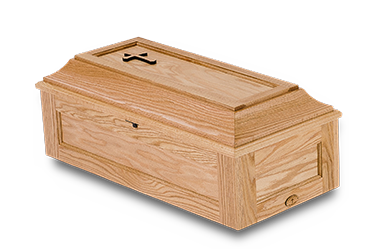 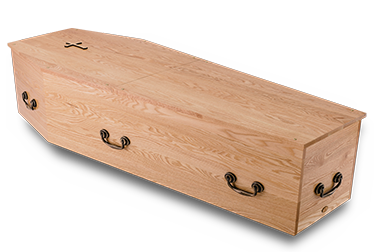 They are built from solid wood (no veneers) using fine-woodworking methods, and except for our simple pine caskets, all are made from classic hardwoods which add to a casket’s beauty and strength. 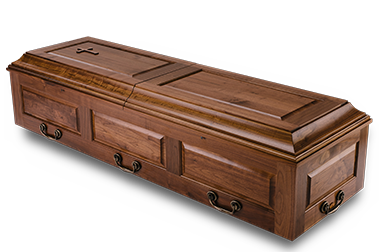 Each Trappist Casket is finished with a clear lacquer that enhances the beauty of the wood and is equipped with eight, easy-to-grasp handles and two-piece lid. 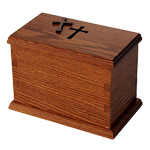 Simple but elegantly upholstered with a pillow, mattress, and elevating bed, each also comes with an optional Keepsake Cross that rests on the lid. 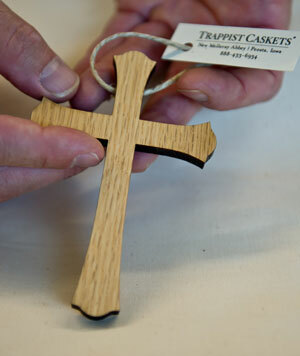 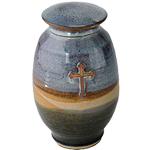 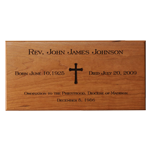 Each cross is removable for loved ones to keep as a memento and can also be personalized in memory of the deceased. 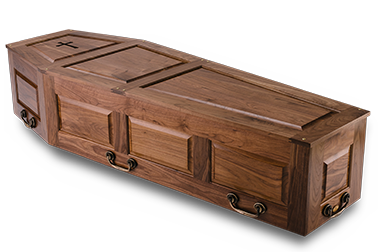 All of our caskets are suitable for viewing. 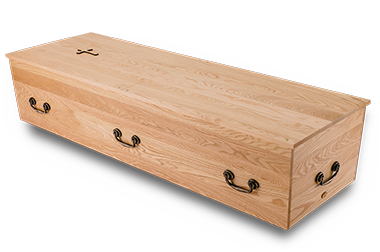 Built to meet or exceed industry standards for strength and size, our caskets are crafted to fit into any standard burial vault. 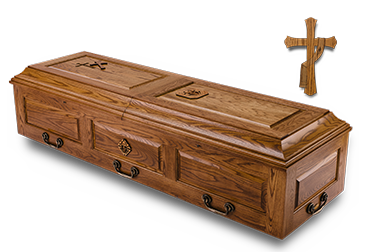 At Trappist Caskets we have always been concerned about stewardship of God’s resources, and have taken great effort to grow and maintain our own forests which provide over a third of all the wood we use in our caskets and urns. 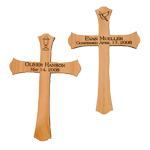 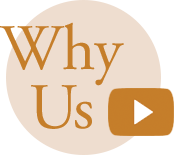 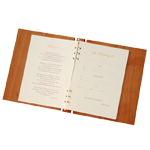 Besides the choices of shape, style, color, and wood, we offer custom engraving to make your purchase truly personal. 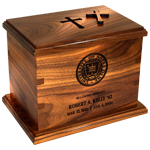 And you can take comfort in knowing each finished casket is blessed by our monks and the name of your loved one is inscribed in our Memorial Book.